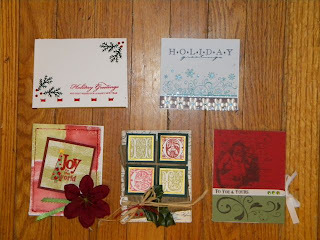 Life is so crazy right now with the holidays...so crazy I am looking forward to the card class this Sat. I put on Christmas music and hot spiced apple cider and just have a good time. There was a cancellation for the class, so if you'd like to join me, there's room for one more.